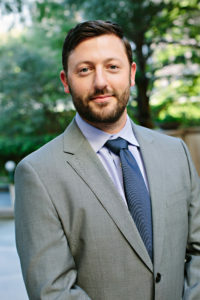 As a shareholder at Kohm & Associates, P.C., Travis Colbrunn manages debt collection, foreclosure litigation, and legal and regulatory compliance related to the firm’s practice areas. Travis initially joined the firm as a law clerk while attending law school and became an associate upon graduation and licensure. He has served as outside counsel to numerous property tax lenders and title companies in Texas and Nevada, consulting on a wide range of issues from daily operations to portfolio management to legal and regulatory compliance. He has also advised clients on mergers and acquisitions and trademark registration, defense, and negotiation. Travis also focuses heavily on business development and client relations. As a native of Austin, Texas, Travis received his bachelor’s degree in Communications from the University of Texas at Austin in 2007. Upon graduation, he began his career in the real estate title industry with LandAmerica and subsequently, Independence Title. Through this work experience, Travis received extensive training in title abstraction and examination, curative title best-practices, and assisted in the administration of real estate closings. He earned his Doctor of Jurisprudence from St. Mary’s University School of Law in 2012.